Science is a very successful way of knowing, but not the only way. We acquire knowledge in many other ways, such as through literature, the arts, philosophical reflection, and religious experience. A scientific view of the world is hopelessly incomplete…. 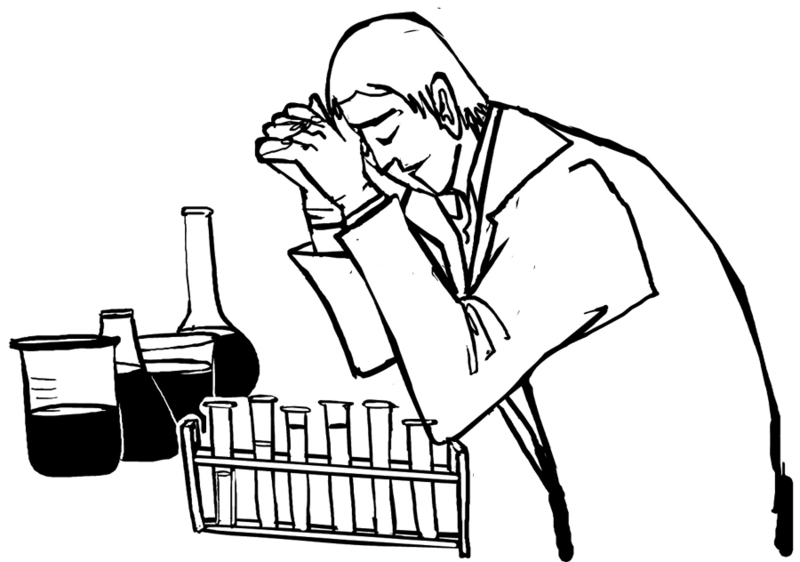 “Science can purify religion from error and superstition; religion can purify science from idolatry and false absolutes. Each can draw the other into a wider world, a world in which both can flourish. “Knowledge of what is does not open the door directly to what should be. One can have the clearest and most complete knowledge of what is, and yet not be able to deduct from that what should be the goal of our human aspirations…. And if one asks whence derives the authority of such fundamental ends, since they cannot be stated and justified merely by reason, one can only answer: they exist in a healthy society as powerful traditions, which act upon the conduct and aspirations and judgements of the individuals; they are there, that is, as something living, without its being necessary to find justification for their existence. They come into being not through demonstration but through revelation, through the medium of powerful personalities. One must not attempt to justify them, but rather to sense their nature simply and clearly. The highest principles for our aspirations and judgements are given to us in the Jewish-Christian religious tradition. It is a very high goal which, with our weak powers, we can reach only very inadequately, but which gives a sure foundation to our aspirations and valuations. If one were to take that goal out of its religious form and look merely at its purely human side, one might state it perhaps thus: free and responsible development of the individual, so that he may place his powers freely and gladly in the service of all mankind. “Science is the century-old endeavor to bring together by means of systematic thought the perceptible phenomena of this world into as thoroughgoing an association as possible. …. a person who is religiously enlightened appears to me to be one who has, to the best of his ability, liberated himself from the fetters of his selfish desires and is preoccupied with thoughts, feelings, and aspirations to which he clings because of their superpersonalvalue. In this sense religion is the age-old endeavor of mankind to become clearly and completely conscious of these values and goals and constantly to strengthen and extend their effect. If one conceives of religion and science according to these definitions then a conflict between them appears impossible. For science can only ascertain what is, but not what should be, and outside of its domain value judgments of all kinds remain necessary. Religion, on the other hand, deals only with evaluations of human thought and action: it cannot justifiably speak of facts and relationships between facts. According to this interpretation the well-known conflicts between religion and science in the past must all be ascribed to a misapprehension of the situation which has been described. …. Whoever has undergone the intense experience of successful advances made in this (scientific) domain is moved by profound reverence for the rationality made manifest in existence. By way of the understanding he achieves a far-reaching emancipation from the shackles of personal hopes and desires, and thereby attains that humble attitude of mind toward the grandeur of reason incarnate in existence, and which, in its profoundest depths, is inaccessible to man. This attitude, however, appears to me to be religious, in the highest sense of the word. And so it seems to me that science not only purifies the religious impulse of the dross of its anthropomorphism but also contributes to a religious spiritualization of our understanding of life. The further the spiritual evolution of mankind advances, the more certain it seems to me that the path to genuine religiosity does not lie through the fear of life, and the fear of death, and blind faith, but through striving after rational knowledge. In this sense I believe that the priest must become a teacher if he wishes to do justice to his lofty educational mission. “Faith and reason are like two wings on which the human spirit rises to the contemplation of truth…. God has placed in the human heart a desire to know the truth…. Every truth attained is but a step towards that fullness of truth which will appear with the final Revelation of God: “For now we see in a mirror dimly, but then face to face. Now I know in part; then I shall understand fully” (1 Cor 13:12)…. Without wonder, men and women would lapse into deadening routine…. A legitimate plurality of positions has yielded to an undifferentiated pluralism, based upon the assumption that all positions are equally valid, which is one of today’s most widespread symptoms of the lack of confidence in truth. Even certain conceptions of life coming from the East betray this lack of confidence, denying truth its exclusive character and assuming that truth reveals itself equally in different doctrines, even if they contradict one another…. Reason and faith cannot be separated without diminishing the capacity of men and women to know themselves, the world and God in an appropriate way. There is thus no reason for competition of any kind between reason and faith: each contains the other, and each has its own scope for action…. — Pope John-Paul II (‘Pope John-Paul II: A Reader‘ edited by O’Collins, SJ, page 34, published by Paulist Press: Mahwah, New Jersey, 2007). “In the Christian understanding, the energy at the heart of the universe is even more fundamental than the energies that are described in such marvellous detail by physics and astronomy. “What is truth? In simple language truth is telling it as it really is. Today’s society has done a number on truth. It is fashionable to teach that truth is relative, that there is no such thing as absolute truth. Of all the lies that are told, this one has to be the most damaging. Contrary to what is being taught in some institutions of learning, truth is absolute, not relative. If something is true, it’s true for all of us, regardless of where we are…. The truth matters. To speak the truth is the beginning of wisdom. …. When we teach that everything goes, that it doesn’t matter what we do as long as we are sincere, we are not telling the truth, we are telling lies. Sincerity doesn’t make suicide bombing right. If I believe sincerely that suicide bombing is right, I am sincerely wrong. Wrong is wrong, even if everyone is doing it. Right is right, even if no one is doing it. If there is no morality, if there is no right or wrong, if it all comes down to what I decide, then I shouldn’t be surprised when a couple of students gun down innocent classmates, or an organisation in the name of God flies planes into buildings and kills innocent people? False ideas about truth, lead to false ideas about life. There are many truths about truth: Truth is discovered, not invented. Truth is not dependent on our preferences. Something is true whether we like it or not. Before Galileo, people sincerely believed the world was flat, not round. They were sincerely wrong. What is the greatest problem in our world today? … A popular answer is “I don’t know, and I don’t care,” and that about sums up the source of many of our problems today. Once we kill the concept of truth, we kill the concept of true religion and true morality. “I believe that everyone is ‘religious’, whether aware of it or not, or like it or not, because religion is no more and no less than the total relationship with reality…. ‘Religion’ requires me to invite everything in, to open up to the whole of reality, a large element of which is mysterious and unknowable…. Science is simply the pursuit of knowledge, and this is self-evidently a good thing. …. No amount of knowledge of the external world is of any use if I do not achieve a similar level of understanding of myself, of my essential structure, of how I relate to reality… It is here that organised religion has focused its main attentions, sometimes clumsily but usually with the proper intention of offering to man the means to avoid the grief that comes from abusing his own freedom, which he is instinctually inclined to do…. Our cultures do not understand what freedom is, defining it as the ability to do as we please, blind to man’s experience which consistently reveals that this avenue of exploration leads ultimately to disgust and disaster. …. Faith is not an irrational leap in the dark; it is the reasonable response to the real…. Faith is no more than honesty before reality. What do I see? Where did it come from? And then, where did I come from? Who or what made me? What makes me now, in this moment, if I do not make myself? Sooner or later, the true intelligence arrives at God, because God is what intelligence derives from. “I acknowledge there is a wholly consistent alternative description of the natural world and our place in it, which can lead one to exactly the actions I may wish to take or encourage others to take, all without any belief in God. Nothing is wrong with that position. It used to be my own, but as I have gotten older, I find I no longer can honestly hold to it. “The Church’s magisterium is directly concerned with the question of evolution, for it involves the conception of man: Revelation teaches us that he was created in the image and likeness of God (cf. Gn 1:27-29). The conciliar constitution Gaudium et Spes has magnificently explained this doctrine, which is pivotal to Christian thought. It recalled that man is “the only creature on earth that God has wanted for its own sake” (No. 24). In other terms, the human individual cannot be subordinated as a pure means or a pure instrument, either to the species or to society; he has value per se. He is a person. With his intellect and his will, he is capable of forming a relationship of communion, solidarity and self-giving with his peers. St. Thomas observes that man’s likeness to God resides especially in his speculative intellect, for his relationship with the object of his knowledge resembles God’s relationship with what he has created (Summa Theologica I-II:3:5, ad 1). But even more, man is called to enter into a relationship of knowledge and love with God himself, a relationship which will find its complete fulfillment beyond time, in eternity. “Technology has remedied countless evils which used to harm and limit human beings. How can we not feel gratitude and appreciation for this progress, especially in the fields of medicine, engineering and communications? How could we not acknowledge the work of many scientists and engineers who have provided alternatives to make development sustainable?…. — Pope Francis in his June 2015 encyclical on the environment, Praise Be, sections 102 and 105. What’s New on this Site?